Bernie Sanders' campaign said Sunday that the Vermont senator brought in more than $20 million in January in donations to his 2016 presidential campaign. The campaign said that the money was made up almost entirely of online contributions, which averaged $27 apiece. There were more than 770,000 individual contributions, bringing the total number of individual donations for his campaign to 3.25 million. "The numbers we've seen since Jan. 1 put our campaign on pace to beat Secretary Clinton's goal of $50 million in the first quarter of 2016," said Jeff Weaver, Sanders' campaign manager. "Working Americans chipping in a few dollars each month are not only challenging but beating the greatest fundraising machine ever assembled." Part of the announcement from Sanders' campaign also criticized Clinton for raising a significant amount of her money from donors who contribute the maximum and for the fact that there is a super PAC supporting her campaign. 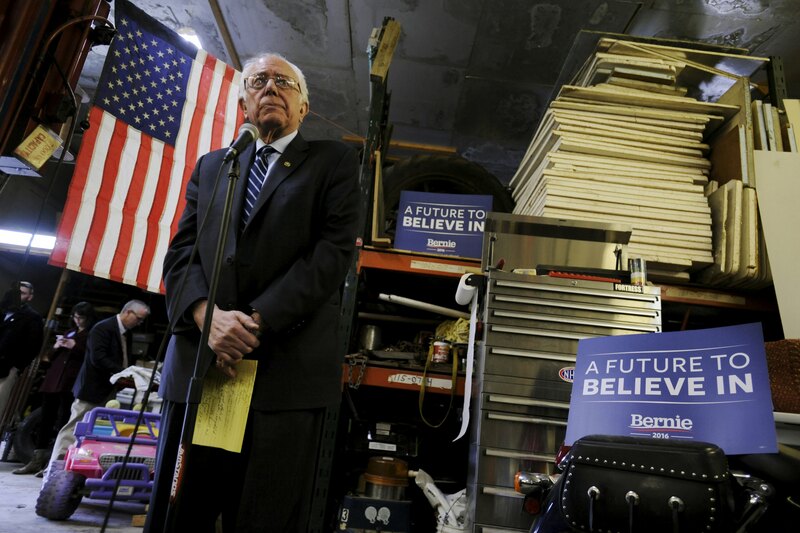 Sanders consistently reminds voters that there is no super PAC bolstering his efforts. "As Secretary Clinton holds high-dollar fundraisers with the nation's financial elite, our supporters have stepped up in a way that allows Bernie to spend the critical days before the caucuses talking to Iowans about his plans to fix a rigged economy and end a corrupt system of campaign finance," Weaver said. He pledged that Sanders campaign is "built for the long haul" and said it will bring "millions" of people into the Democratic Party. Sanders' campaign also said Sunday it will file its year-end report with the Federal Election Commission saying it raised almost $33.6 million in the final quarter of 2015, with 70 percent of donations coming from contributors who gave $200 or less. Just 1.3 of its donations that quarter came from donors who contributed the maximum amount ($2,700 per election).